Welcome to the BWI of STL Library! We’re featuring some of our library carriers so you know what we have, where to find it, and if you might want to try it out. Our full library inventory can be found here. Let us know if you have any questions! The BB-TAI is inspired by traditional Asian Mei Tai carriers. 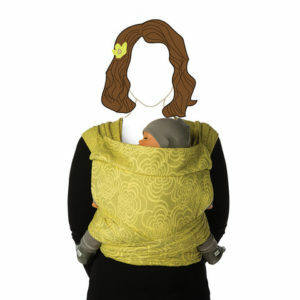 The sash-style tying system is simple to use, adjustable, and comfortable for both wearer and child and is specially woven to wrap around the curves of baby and wearer. 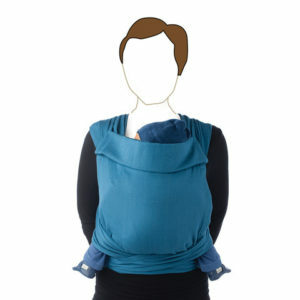 Suitable for kangaroo care (skin-to-skin carrying) and breastfeeding. 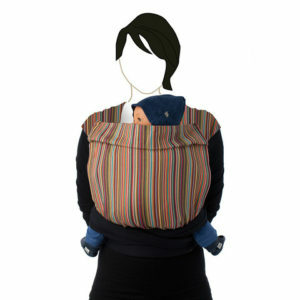 It can be used to carry the baby in front, on your hip, or on your back. It can be worn by adults of all sizes, as well as children and adolescents who would like to carry the baby. Features a removable infant insert, so baby can be safely carried, right from birth. Shoulder straps are 78″ long and the waistband is 80″ long. Materials: Woven 100% Organic Cotton and non-toxic dyes. What do our VBEs have to say about the BB-TAI? Have you used the BB-TAI? Our libraries are availabe during the meetings for everyone to try, and paid members may check out a carrier to use between meetings. Check the calendar for the schedule of meetings if you’d like to give this carrier a try!